Luke Rudkowski of WeAreChange interviews Rick Rynearson, founder of Veterans Against Police Abuse, who details his court case regarding his being stopped and harassed at a border patrol checkpoint, for 34 minutes where he was asked about his military service but not his immigration status for the first 11 minutes, despite the whole purpose of this interior checkpoint supposedly being all about immigration. Rynearson video taped the whole encounter, which will be used as his evidence in court. Mr. Rynearson explains his reasons for pursuing this case in court. He says he went through eight deployments, watched his brothers in arms die in defense of the US Constitution, and feels he owes it to them to continue fighting for his rights, which is in fact, fighting for our rights. 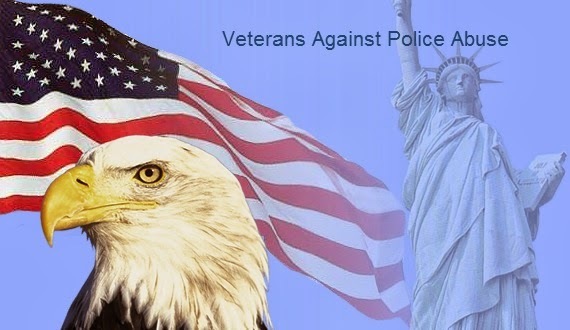 A veteran that has been deployed eight times, should NOT have to come home and continue fighting for our rights, but this is what things have come to as the USA becomes the USSA police state. The government does have the responsibility to protect the borders, but when those very border patrol agents are more interested in interrogating a man about his military service and not his immigration status, then we have a problem, one that Mr. Rynearson is attempting to correct through the court system.